Caladium is one of my favorite plants. Perhaps it is known as a flower but to me it is the perfect plant. Caladium are native to Brazil and Florida. Caladium plants are all poisonous. Caladium are grown from roots which are sometimes referred to as bulbs. These roots are dug up each year, cleaned and separated. They should be stored in dry soil or moss in a dry dark location until they are ready to be used next spring. The larger the root or bulb the bigger the plant will be. Caladium roots should be started indoors about 6 weeks before last frost. Each bulb should have its own 4 to 6 inch peach pot. Plant root should be round side up buried in 1 1/2 inch to 2 inches of soil and it is best to have a few buds on them when they start. Water well the first time to make a moist soil then allow the plant soil to warm. Caladiums do not like cold weather and should be transplanted outside well after the last frost and the soil has warmed. They can also be grown inside. If they are grown outside they should be planted in a location that is shady or does not get direct sunlight. Plant in a spot with well drainage with good manure. 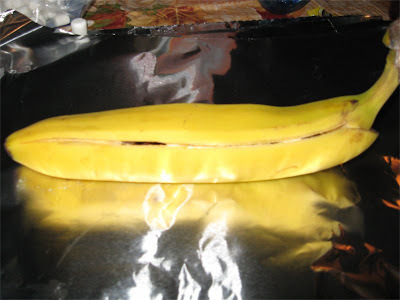 Place banana slices on a plate, separating each slice. Place slices in freezer for 2 hours (overnight is best!). Remove strawberries and bananas from freezer and place in food processor, blend until they are the consistency of soft serve ice cream. Add cream and vanilla and blend until smooth. Transfer ice cream to a freezer container and freeze until solid. Scoop with ice cream scoop and serve. I bring to you a hot dog recipe. Today, (yes I know the day is about over) is national hotdog day. I also want to say thank you to Sonic for my $1 hotdog I hope you got yours as well. 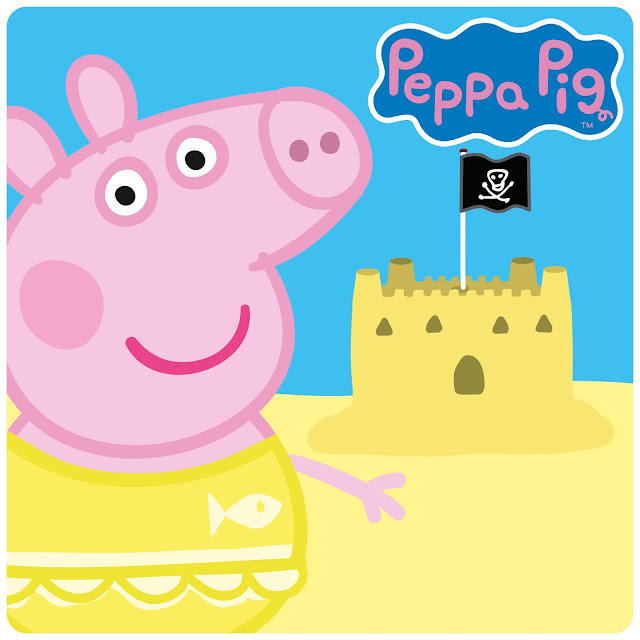 I try to bring a bit of culture to teach my children about the world and make my menu more attractive and enjoyable. After it being hotdog day I have decided to add these to my menu next month. Perfect for summer time I think. What do you think? Enjoy!! In a medium bowl, mix ground beef with salt, pepper, and cumin. Make a lengthwise slice along the top of each hot dog no more than halfway through the link. 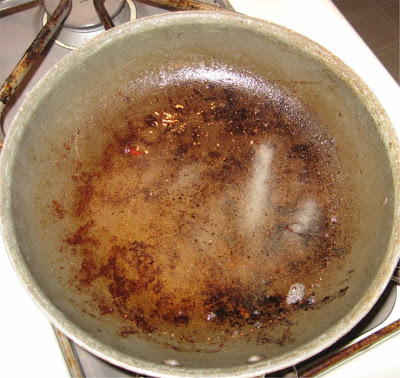 Place in a large saucepan and add enough water to cover. Bring to a boil, then remove from heat. Keep in water until they have doubled in size. 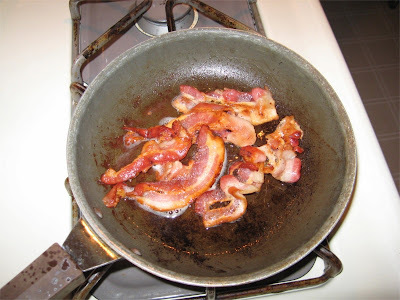 In a large pan, drizzle oil over medium high heat. Add the onion and bell pepper. Cook, stirring often, until they begin to soften and the onion becomes translucent. Add the garlic and cook just until fragrant, about 30 seconds. Stir in the ground beef. Once browned, mix in the tomato paste, broth, and thyme. Bring to a boil, then reduce heat to medium low. Cover partially and let simmer for 10 minutes, stirring occasionally. Remove from heat. Add the lime juice and cover to keep warm until ready to assemble the hot dogs. Place a cooked hot dog link in each bun. Top with 2-4 tablespoons of the beef mixture, then shredded cheese. Add additional toppings if desired. Serve immediately. 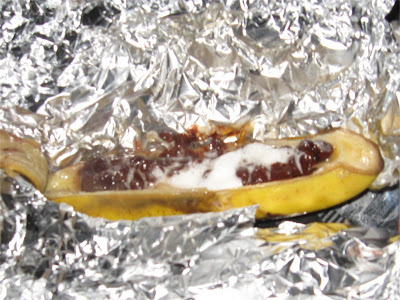 Peal a piece of the skin back and scoop out some of the banana. 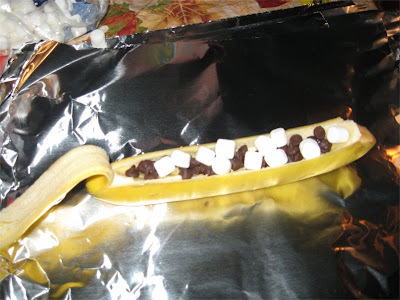 Fill the banana up with semisweet chocolate chips and miniature marshmallows. 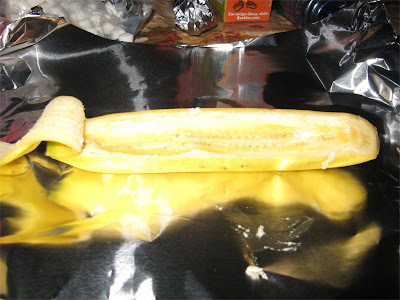 Put the skin back in place and wrap well in heavy foil. Put on a bed of coals for 5 to 10 minutes. 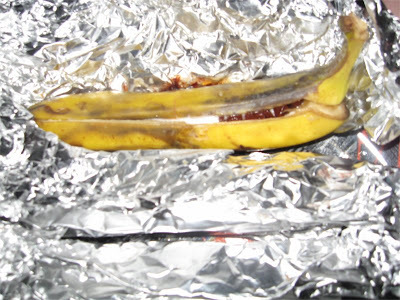 Unwrap and remove skin flap. My grandmother was a lady who took pride in what she did. She would take her time to make everything perfect. She would also take her time to allow us to understand how everything worked, how to do it and to teach us again if we did not understand. I believe the kitchen is a great place to teach our little ones and older ones about how things work. 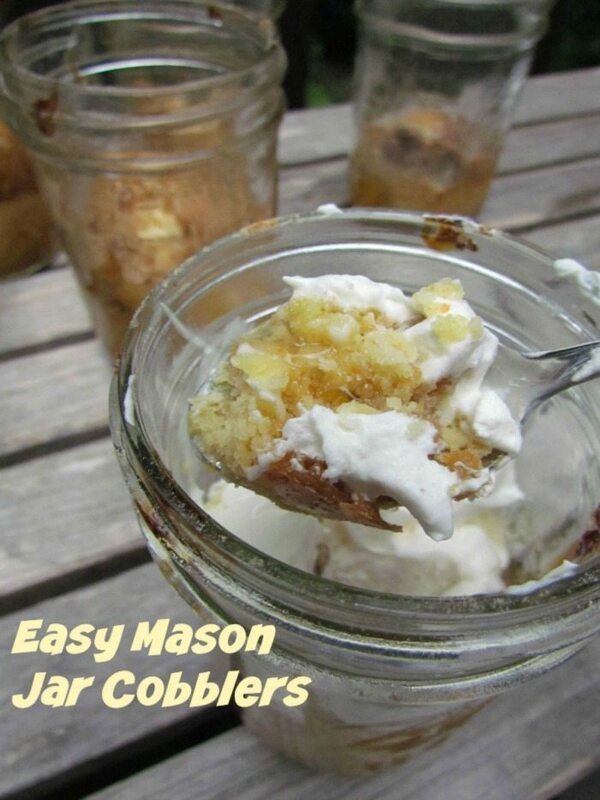 Fun summer time recipes like this would be great to share with children in your life. Now stack the mallow, chocolate and graham like you would if you were creating a smore with a roasted mallow. That is to put the mallow and chocolate together and sandwich between 2 graham crackers Microwave on a microwave safe dish 30 seconds. You can melt more if desired by melting 10 seconds more at a time. This is a great place to have the child advise how much more they would like to have their smore melted. Now cool til it is able to be touched with bare hands. 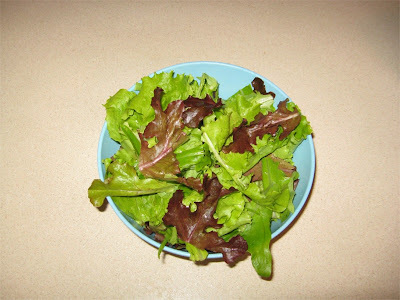 Wilted lettuce is a favorite summertime salad even though it isn't the best for me. I grew up with parents who raised a large garden. They had several children to feed and a large garden was needed. I was taught how to snip or break off leaf lettuce so more could grow back rather than pulling it up in which case there would be no more for the season. Wilted lettuce is fairly easy to make with just a bit of kitchen knowledge. Start with some leaf lettuce that has been washed thoroughly. wilted lettuce goes perfect with a delicious blt. 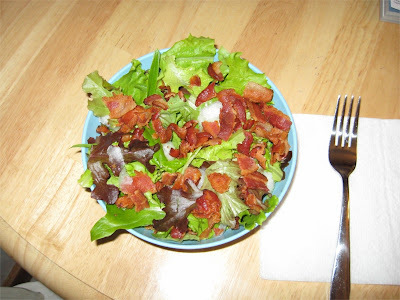 Bacon will be used in the wilted lettuce as well. 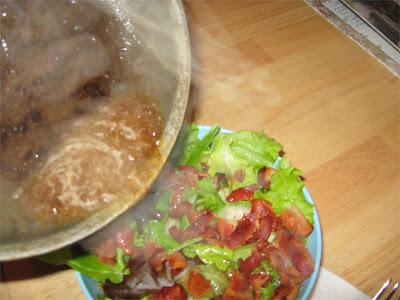 Add the bacon and some thin sliced onion to the lettuce. Pour over the lettuce and there you have it! Wilted lettuce just like when I was a kid. Yummy Enjoy!!! Preheat oven to 375 degrees. Grease muffin pan. In a large bowl, whisk together the flour, baking powder and oregano. Whisk in the milk and egg. Stir in the mozzarella and pepperoni and let stand for a few minutes. Stir the batter and divide evenly among the muffin cups. Bake until puffed and golden, about 18 to 23 minutes. Warm pizza sauce in the microwave for about 15 seconds or heat on the stove in a small sauce pan. 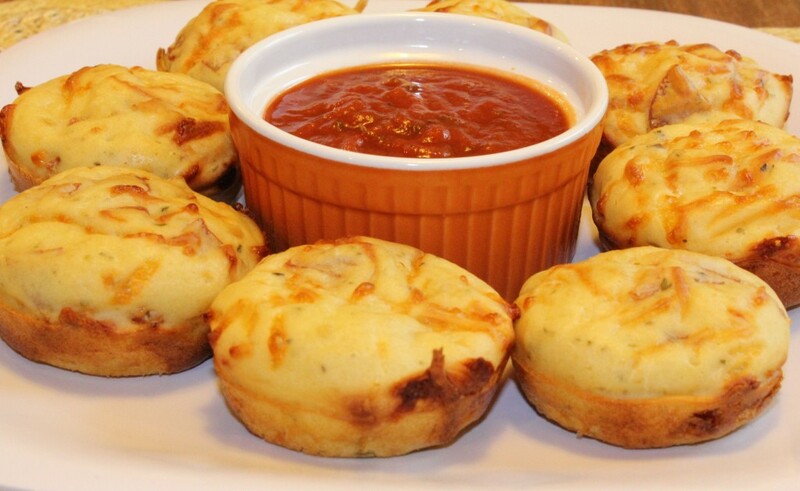 Serve the muffins with the pizza sauce for dipping. Today is national caviar day. While I fish egg caviar is not one of my favorites I do have a favorite caviar recipe. That recipe would be cowboy caviar. A good way to get our children to eat a bit healthier. 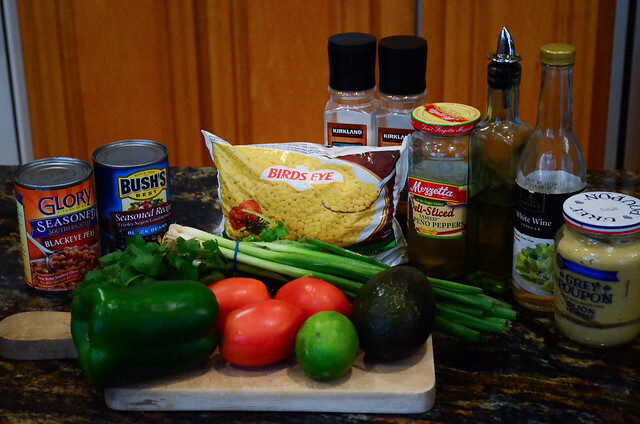 Cowboy caviar is filled with nutrition rich ingredients. 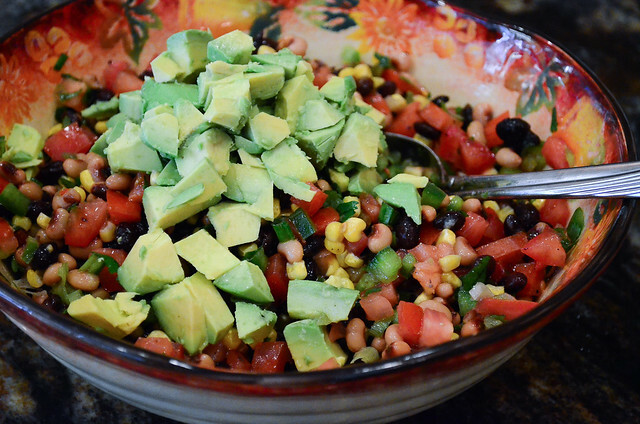 Combine black eyed peas, beans, corn, green onion, bell pepper, tomatoes, jalapenos, and cilantro in a medium bowl. In a small bowl whisk together the olive oil, vinegar, lime juice, Dijon mustard, and salt and pepper. Pour over bean mixture. Cover and refrigerate until ready to serve. Just before serving, add avocado and gently stir to combine. Serve with tortilla chips. Mix everything except the cheese in a crock pot. Cook on low for 8 hrs or high for 4. Add the cheese, and cook for 1 more hour and then enjoy!